Please accept my humblest apologies for being absent from the blog for so long. I really have no excuse. 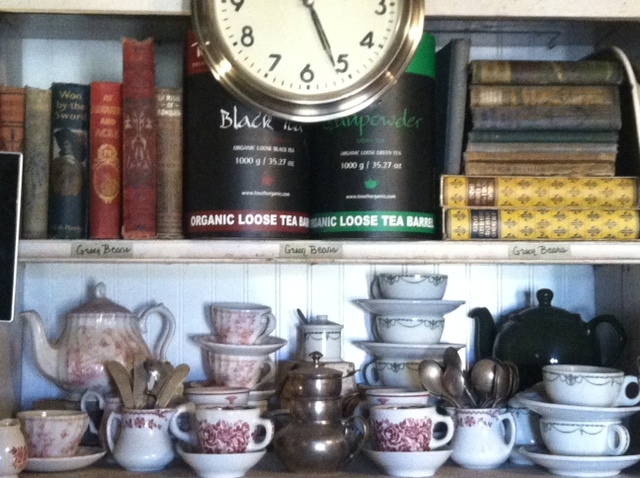 I do have to admit that I have been on sensory overload. It feels as though the world is coming apart at the seams and the more chaotic the world, the more I am compelled to live a quiet and peaceful life. Folly, to be sure, but my reality nonetheless. Our family has been busy. We are tirelessly preparing, maintaining and managing. As the daily news becomes more dire our efforts become more consistently focused on preparation. We have been inventorying our supplies, rounding out our shopping lists and creating comprehensive location charts. We have streamlined our preparedness stores, rotated our stock and filled emptying barrels. We have been cleaning out and organizing all of our outbuildings to make them more usable and easily accessible. These are jobs we do every summer, but this summer we are organizing, inventorying and cleaning with a quiet, but intensified anticipation. Along with our cleaning and organizing, we have been canning - not as much as we'd like, but canning as much as we are able. 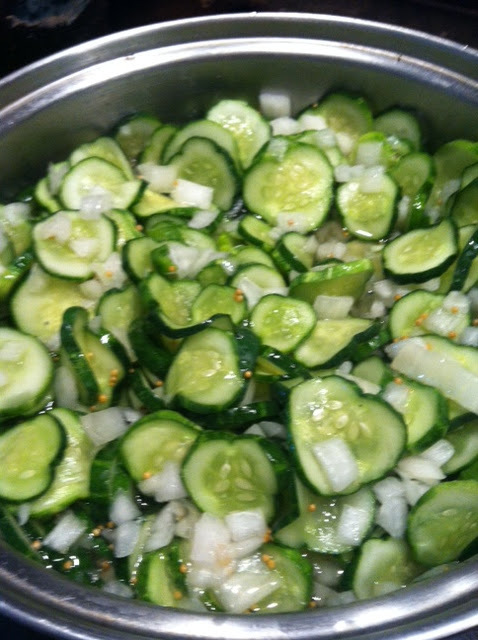 We have canned gallons of raspberry jam and raspberry orange conserve, as well as bread and butter pickles and many quarts of green beans. 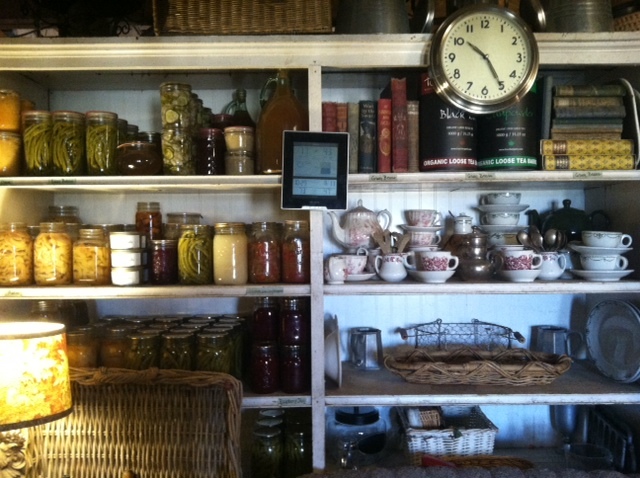 The shelves are filling and the remaining shelves are cleaned and waiting for the tomato harvest, as well as deer and elk. As the hot summer days give way to cooler, late summer evenings, we have begun our yearly firewood harvest. Master Hand Grenade and Miss Serenity have been sawing logs so that the rest of the family can split and stack the year's firewood. And thus we continue our quest for a quiet and peaceful life.....while we are yet able. I hear you about checking preps and seeing what needs to be done. The Lord be with your family through what seems to be coming. I was very happy to see a new blog page. Know that you were missed! There sure is something coming. What an evil there is in our country when planned parenthood can exist. Worse than Nazis! Everyone would be talking if that had been animals instead of babies. Halleluiah, the other half of our favorite "Idaho Housewives' is back up and running again. We missed you. Really. During your absence we learned more about 'Harvesting Garlic' than we ever imagined. I missed your pleasant and useful postings. good to see your "voice" again, and I believe you echo the sentiments of many who are also readying for whatever may come; spiritually, physically, and preparedly. God's Peace. Lynne in MN. Mighty good to have you posting again. I'm glad your absence was only due to being so busy. I'm sure we can all relate to that! Haha mummy you need to blog more often! People missed you! So happy nothing bad was behind your silence. You and your family are always in my prayers. Hope you get time to blog more. My our Lord keep you close to him. So glad to see you're back...I said a prayer for the Georgia Transplants....You're all in our thoughts and prayers. I'm glad you are back. I pray the Georgia Transplants, your parents, and other escape the blaze in the area. We are havig too much rain in Teneessee, maybe we can sent some to the Redoubt! We are in a construction zone & up to our elbows in peanut butter mud. I have been concerned for a long time about when 'the can' can no longer be kicked down the road. We sold our place & moved to our Appalachian Redoubt earlier this year. Problem is, we are building...and it's going slow...I'm getting afraid. Much of our preps are in storage as we camp in our construction site. I confess, I'm envious of you & your completed Shouse. 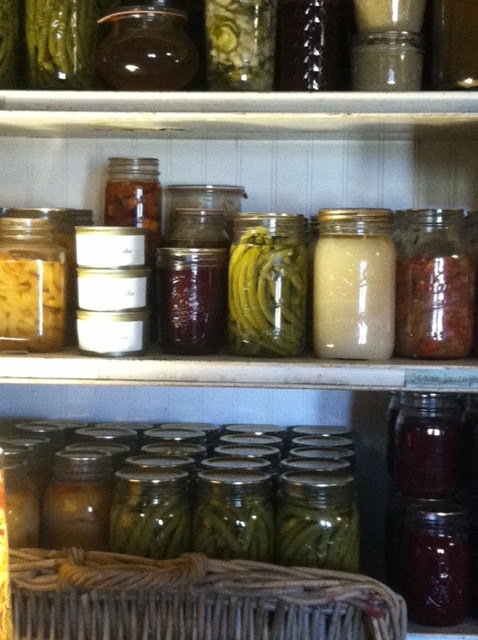 I'm envious of all the wonderful blogs I read about gardening, canning, wood splitting, etc. I pray everyday that we didn't somehow get it wrong from God (felt He lead us here) and I sit & think/fret on how this will all work out. Some how it will, but I'm sure it will be different than what I envision. God Bless you, your family, and readers. Soon, I think, it will get rough. Enola, I'm offering my prayers for all of you in the path of the fires. Be safe in His hands.